Thirsty Pilgrim: Cab Drivers Say, "My Friend!" But They Don't Mean It. I Do. My Friend. Cab Drivers Say, "My Friend!" But They Don't Mean It. I Do. My Friend. Belgium's population of 10 million is close to that of Michigan, which has about 75 breweries by my count. Most of them are little brewpubs. 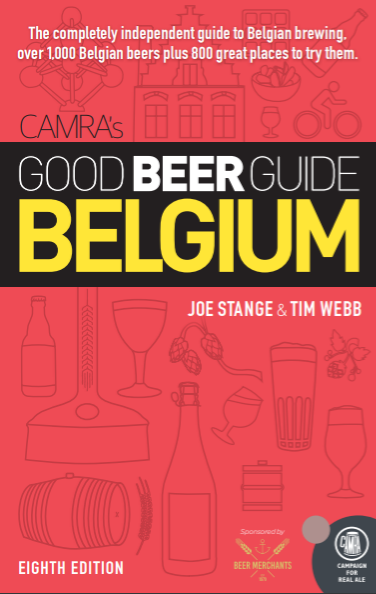 Belgium has about 120 breweries. My point: This little bitty country has a lot of places that make beer. Not all of them are very good. But there are enough good ones that, even if you're a beer geek living here, it's easy to forget some of them for a while. Then you come across one of their beers again, and it really fits. It's fun. Like being with an old friend you haven't seen lately. Like me and Verhaeghe. The old Duchesse was one of those beers that blew me away when I first tried her. She blows a lot of people away. 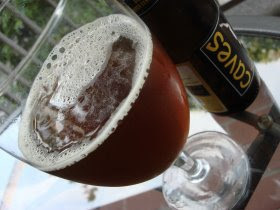 In her class of Flemish sours she's the one after Rodenbach most likely to succeed. But we mature, we move on, we become enamored with other beers and other breweries. Weeks go by, then months. We reminisce but don't revisit. Not until a different bottle catches our eye at the local drinks market. This one says "Caves." This is one of Verhaeghe's lesser-known beers, which is a shame. It should be right up there with their other sours, which are among the tastiest made anywhere. Including California. This bright reddish-brown beer has an intensely vinous and fruity nose with an impression of sour cherries. It's a tart yet thirst-quenching beer, lightly acidic. It's begging for some creamy cheese or shrimp croquettes to scrub off your palate. By the way, Verhaeghe's Echte Kriek and Vichtenaar are also damned tasty and interesting beers. Refreshing too. If you see one of them, warmly invite her into your home. And afterward... do try to keep in touch. My friend.